In refuting a New York Times article which said he was positioning himself to run for president in 2020, Vice President Mike Pence declared his loyalty on Sunday to President Trump. The VP responded with, "Today’s article in The New York Times is disgraceful and offensive to me, my family and our entire team. The allegations in this article are categorically false and represent just the latest attempt by the media to divide this administration." Mike Pence's office issued this statement of denial - in writing - not via an interview or similar format. Thus we have no opportunity to correlate these words with his nonverbal behavior. 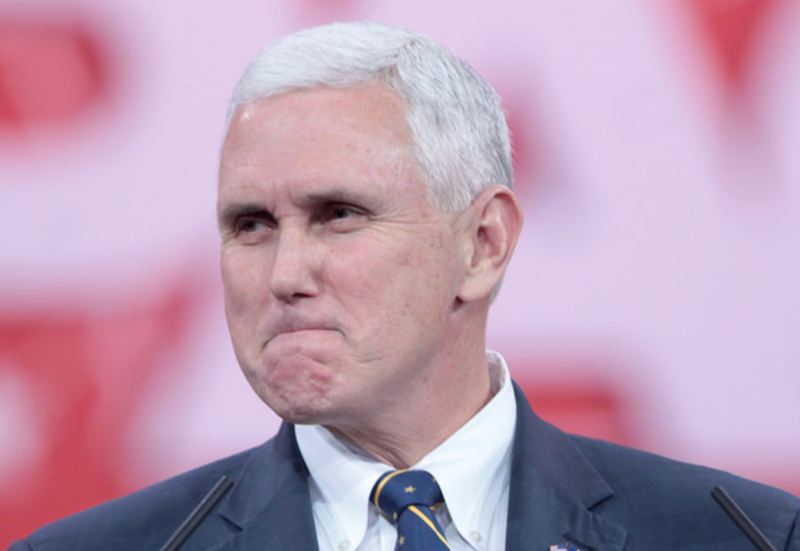 The image above of Mike Pence was taken in 2015 while he was Governor of Indiana (photo credit Gage Skidmore). Note that his Inward Lip Roll is quite pronounced. There is also considerable coexisting tension of Pence's "Mustache Area". An inward lip roll (ILR) is a subconscious attempt to avoid a further crescendo of already strong emotions. Most of the time an inward lip roll appears in conjunction with a negative emotion (such as anger, frustration, impatience, etc.) - although it's sometimes seen in the suppression of positive emotions (e.g., joy-laughter during in socially awkward situations). Now, look at his jaw. It's vectored forward in a configuration known as a "Jaw Jut". This particular jaw jut is quite extreme. Moreover, his accompanying chin dimpling indicates his teeth are also clenched. Summary: This nonverbal cluster is classic - indicating Mike Pence was feeling anger - and suppressing it, at the time this image was captured.